"Production still from a silent film"
One of 12 production still photographs from an unidentified silent movie drama, circa 1910. 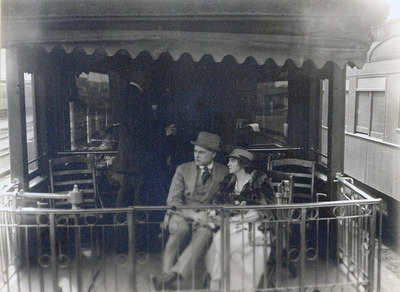 Scene with the couple seated on the observation deck of a train. BW Photograph 3" x 4"